The most common thing you’ll hear when shopping for a diamond ring is the reference to the 4C’s: color, clarity, cut and carat. While other factors and terms are important, and we’ll divulge those as well, knowing the 4C’s is Diamond 101. Up until the mid-20th century, there was no standard by which to judge diamonds. When the Gemological Institute of America (GIA) created the standard of the 4C’s in the 1940’s, a universal standard was formed. The GIA is a non-profit research group that provides gem research and information. The 4C’s is significant in that it finally created a universal standard of quality for jewelers to follow as well as a standard for cost for consumers to be aware of. When it comes to diamonds, the ideal color is no color – that is, a colorless diamond is the most valuable diamond. The color of a diamond is carefully determined in a controlled environment with carefully controlled lighting and specific conditions for viewing conditions. A diamonds “color” ranges from D through Z, with a “D” grade color being completely colorless and a “Z” grade color being saturated with a yellow tint. As the alphabetical letters progress, the differences from the first to the next are subtle to the untrained eye – that is, an “E” grade diamond might not appear to be different from an “F” grade diamond to the untrained eye, but they might vary highly in price. For a financially savvy bride or groom, the fact that slightly varying color grades don’t appear to be different is extremely beneficial – there is no need to pay the high cost of the best if the second or third or fourth from best are just as visually appealing at a lower cost. Color is the second most important of the 4C’s, second to the Cut, and is one of the bigger influences on the price of the diamond. Flawless (FW) – Flawless; no inclusions or blemishes; rare. Internally Flawless (IF) – No internal imperfections; no inclusions; rare. Very Very Slightly Included (VVS1, VVS2) – Has inclusions that are very hard to see under 10x magnification; high quality diamond. 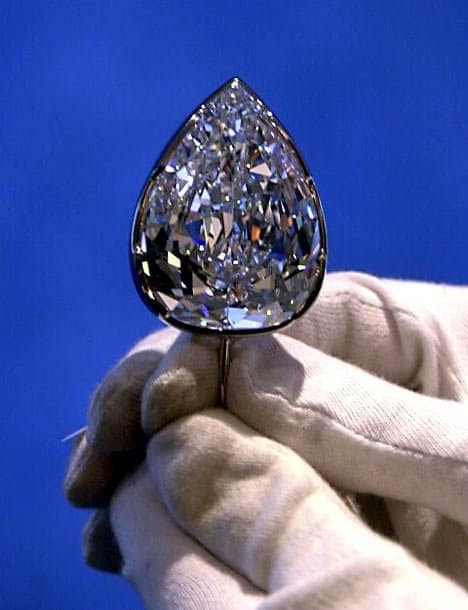 Very Slightly Included (VS1, VS2) – Has inclusions, but ones that can’t be seen by the unaided eye; high quality diamond but less quality than VVS1 and VVS2. Slightly Included (SI1 and SI2) – Has inclusions that are easily seen under magnifications and may also be visible to unaided eye; good diamond value but not great. Included (I1, I2, I3) – Ring is included and the inclusions are visible to the naked eye; this is a poor quality diamond and most reputable jewelers do not carry it, or carry it in extremely limited quantities. If you’re in the market for the best of the best, an FL diamond is your best bet. If, however, you’re looking to skim a few bucks, we recommend an “eye-clean” diamond which may have internal inclusions, but they are not visible to the untrained and unaided eye. Carat is another word for the weight of the stone. One carat is approximately 200 milligrams. For the sake of precision, 1 Carat is broken down into 100 points – so there may be instances were a jeweler might call a ring a “75 pointer”, which translates into .75 carats, or a ¾ carat stone. The term ‘total carat’ stands for the total weight of diamonds included in a ring when it includes more than one solid stone. 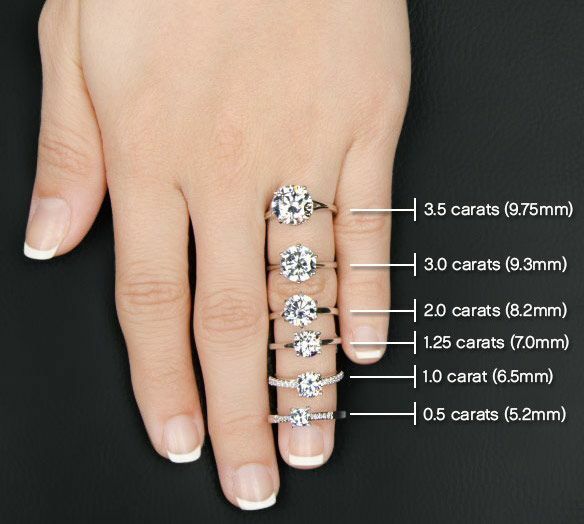 All other factors alike, the higher the carat of a diamond, the more expensive it is – a ring containing a 1 carat diamond will cost more than a ring containing 1 total carat – this is because larger diamonds are more rare than small ones. A diamonds cut is casually used to describe its shape which isn’t correct. A diamond’s cut in actuality is used to describe the stones interaction with light and the ability with which light penetrates and reflects off of it – this is also known as the stones “cut grade”. A diamonds cut grade depends largely on the proportions of the facets and diamond itself – a diamonds cut can be too long or shallow, both of which have a negative effect on the cut grade. A diamonds cut grade also depends on the cuts influence over the brightness, fire and scintillation of the diamond. A diamonds brightness is the extent with which is takes light in and reflects it out, its fire is the rate with which the light taken in is scattered into a rainbow effect and the scintillation is the diamond’s sparkle and the shadows and light created within the diamond by reflections. 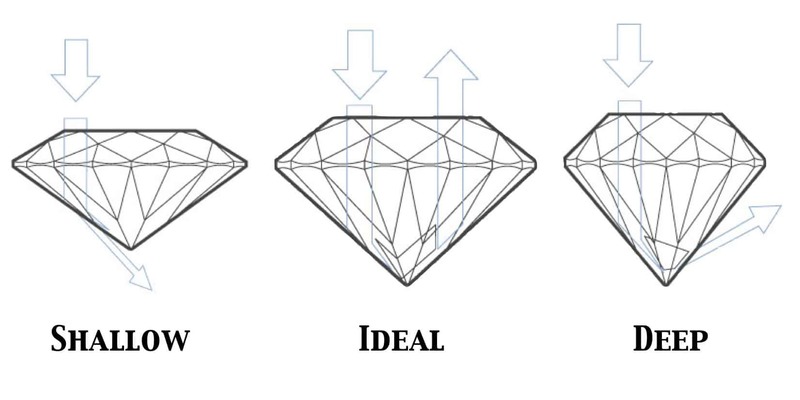 A diamond’s cut grade is the most important element of the 4C’s and the highest indication of the diamonds value. The cut grades are rates between excellent, great, good, fair and poor. An excellent cut grade will display high brilliance fire and sparkle while maintaining little to no shadows created within the diamond. The 4 C’s are the MOST IMPORTANT elements to know when venturing on your diamond ring shopping experience. In a separate article, we have outlined a list of other terms that will be useful, but if you decide to wing your experience, it is imperative, as a well-informed consumer, to at the least be knowledgeable of the attributes and levels of importance of the color, clarity, carat and cut of your future diamond ring.